$6,000,000 mezzanine loan secured by four-star, 15-story, property known as Breakers Hotel, located in Long Beach, CA. Built in 1926 as a hotel, it was most recently operated as a senior housing facility before closing down in 2015. The property currently has an award-winning Sky Room restaurant open, but other than this there is no current operation at the property. 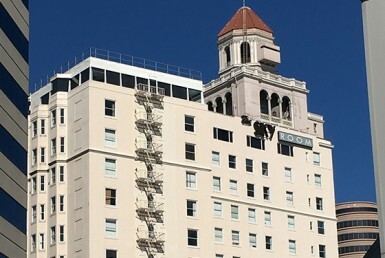 Edgewood’s loan will be used to acquire the property and renovate it back to its original use as a historic 175-key hotel, in addition to the Sky Room restaurant.